The Pro HD 1080p Video Recording Sunglasses can shoot at 30 frames per second. Now, you can capture life’s precious moments as it unfolds right before your eyes. It has a built-in microphone which captures sound up to 20ft away. The videos can have audible sounds when played. This device can capture 15MP still image shots. The buttons are very accessible and easy to use. 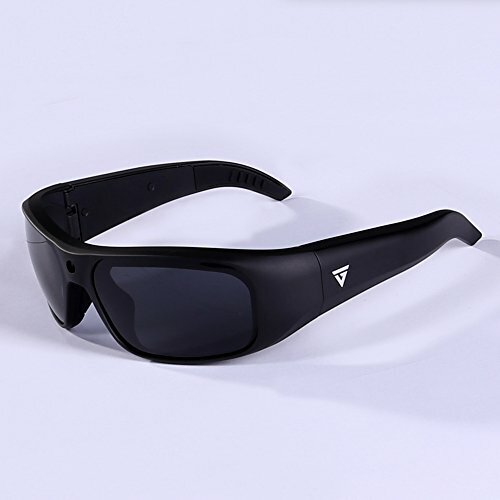 It has polarized UV 400 rated lenses to protect the eyes from the harmful rays of the sun. Capture photos and record videos hands-free. This model has an extremely lightweight and easy to use design. It is perfect for hiking, fishing, and other outdoor activities. Capture incredible first-person point-of-view footage in vibrant full HD with these versatile sunglasses. Keep your hands free for active participation or for when just busting a move. Make recording moments easier, as you zero in on the action from a first-hand account. With the touch of one button, instantly start recording video and sound in HD. Light indicator on inside of the glasses will blink indicating active recording mode.